1925: Provisional 3 c. on 4 c. slate-grey optd. 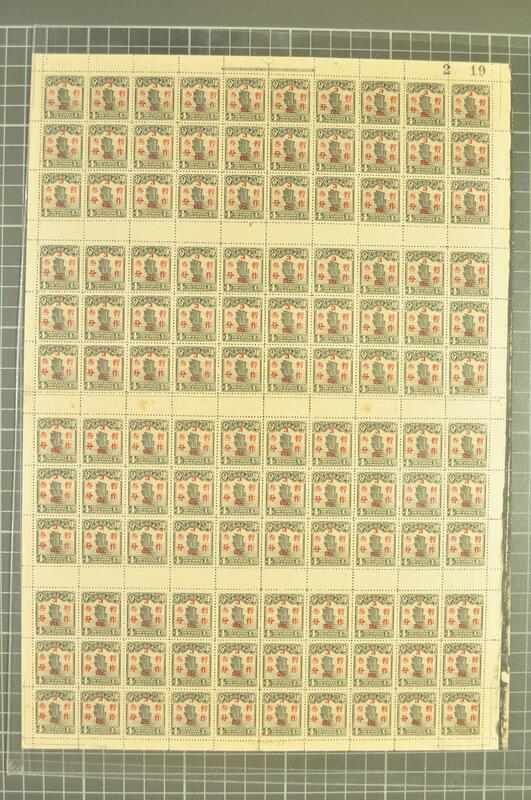 in red, a complete unused sheet of 120 subjects, largely fresh and fine with interpanneau margins intact, full 'Chinese Bureau of Engraving and Printing' imprint at top and requisition number 19, one horizontal crease along margin only, some spotting, unmounted og. Gi = £ 600.